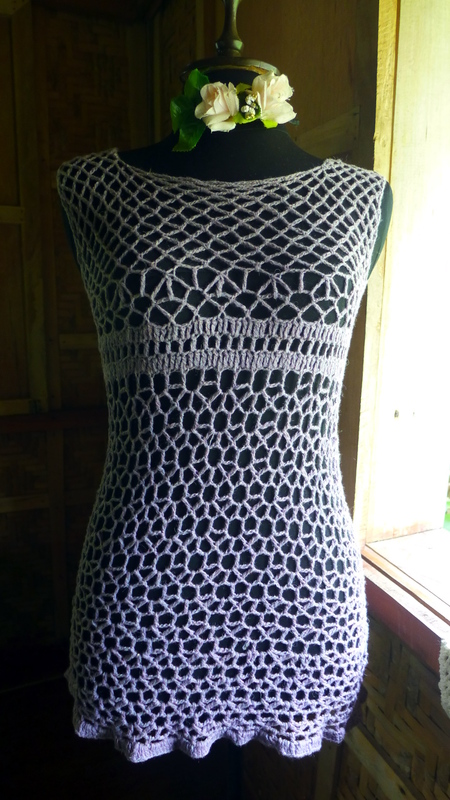 Here are two minidresses that I crocheted in just two days. The first one uses lace weight Tibetan Cloud (100% Tibetan yak) and the second uses fancy yarn called Viarreggio (50% cotton, 50% acrylic). These two minidresses follow the same construction method, that is, starting with in the middle, crocheting in the round. From the middle, work continues upwards without shaping, also in the round up to the armpits. From there, work continues in rows to make the front and back sections of the dress separately. Then the shoulders are shaped by decreasing at the neckline, also done separately. Then the seams are joined at the shoulders. The dress is finished by continuing work downwards from the middle towards the bottom of the dress, all in the round. Towards the bottom, a gradual increase is made to make the dress flare a bit. 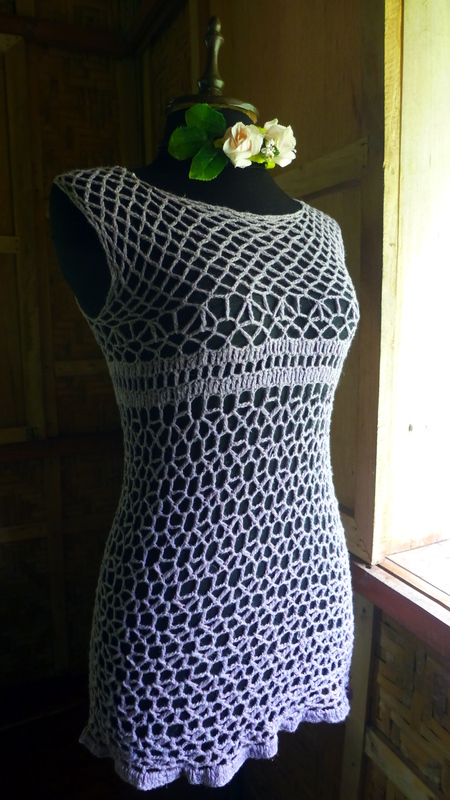 Here is a closer look at the minidress done in Tibetan Yak and I include notes as to how it was constructed. 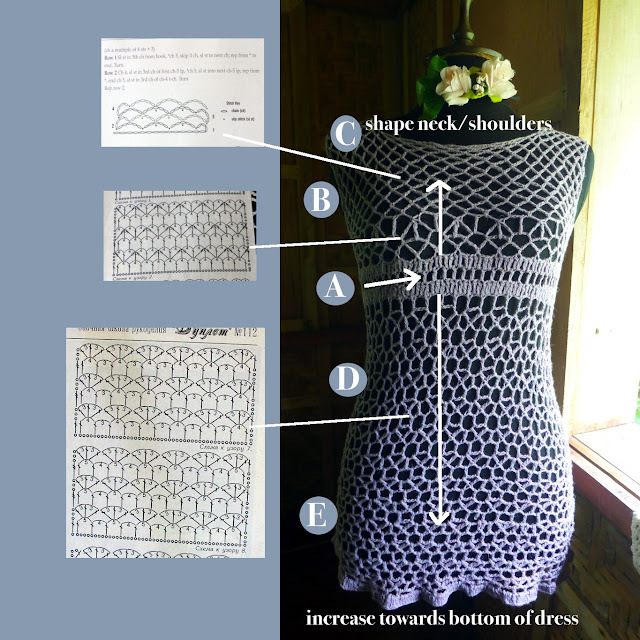 I am hoping that you can try to construct a dress or top in a similar manner with only very simple shaping required. You can choose patterns of your choice. Although in my experience, mesh patterns are best because they follow the shape of the body, neckline and armholes easily and therefore do not require extensive shaping.